A former military officer seeks closure by making a documentary film about a man whom he had furtively encountered in Tanjong Rhu many years ago. 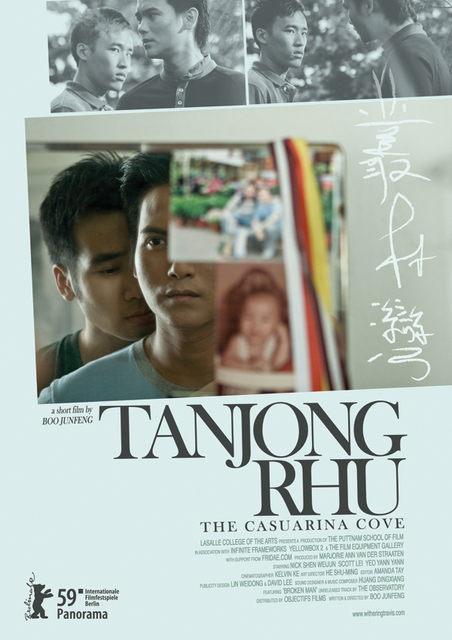 Tanjong Rhu is a secluded beach on the east coast of Singapore, and a popular cruising ground for gay men. In an entrapment exercise in 1993, 12 men were arrested there and sentenced to imprisonment and caning. This is a fictionalised account of what has happened since then to one of these men. Boo Junfeng was born on 4th December 1983 in Singapore. He first attended film school at the age of 16 at Ngee Ann Polytechnic, Singapore. During his course of study, he went on an exchange programme at the Escola Superior de Cinema i Audiovisuals de Catalunya (ESCAC) in Barcelona, Spain, where he wrote and directed his first short film UN RETRATO DE FAMILIA (2004). The short won the Best Film and Special Achievement awards at the Singapore International Film Festival (SIFF) in 2005. In late 2005, he attended the Asian Film Academy at the Pusan International Film Festival in Korea. This inaugural session of the programme was headed by esteemed Taiwanese director, Hou Hsiao Hsien. After two years of mandatory military service, he made the short films KATONG FUGUE (2007) and KELUAR BARIS (2008). The former, a film adaptation of a play, won the Special Jury Prize at the SIFF in 2007; and the latter, a semi-autobiographical take on a boy’s experience of being conscripted, took home the Best Film, Best Director and Best Cinematography awards at the SIFF in 2008.During this period, he also directed a segment in LUCKY 7 (2008), an experimental feature film aimed at promoting collaboration among filmmakers in Singapore. Between 2007 and 2008, he continued his film education at The Puttnam School of Film at LASALLE College of the Arts, where he graduated with the valedictorian honour, the McNally Award for Excellence in the Arts. His thesis film, TANJONG RHU (2009), is featured at the Panorama section of the 59th Berlin Film Festival. He is currently working on his full-length feature debut with Zhao Wei Films, a production company helmed by acclaimed Singaporean director-producer Eric Khoo. The film project – SANDCASTLE – was selected at the Pusan Promotion Plan in 2008 and is slated for production in mid-2009.